Microturbines can be powered either by natural gas or biogas from various sources: from anaerobic digestion or storage of solid urban waste (organic fraction of solid urban waste) up to the treatment of wastewater and gases from oil wells. 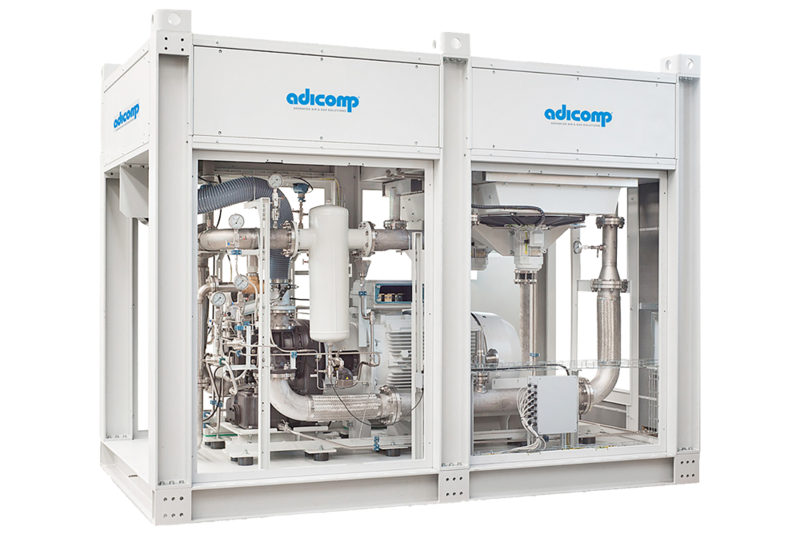 The Adicomp packages provide microturbines with compressed and treated gas at the right temperature to optimise their operation and therefore maximise productivity. 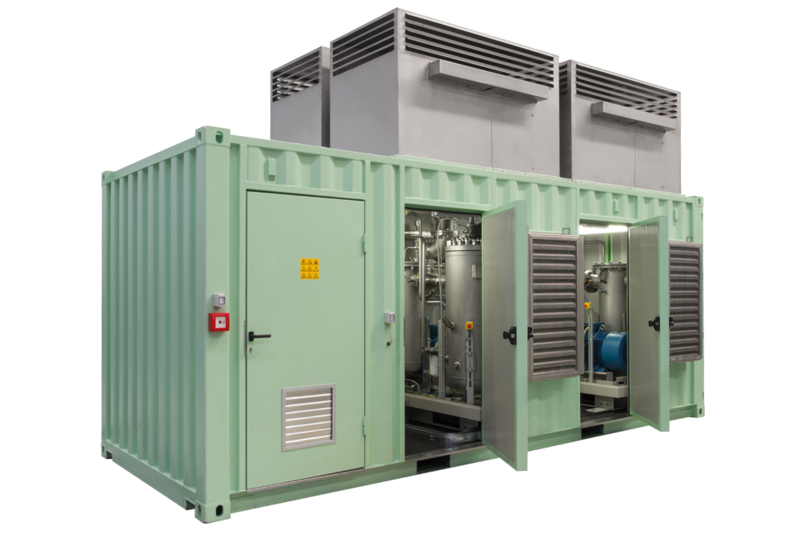 Many treatments are made possible by additional equipment such as chillers that, as well as completing the compression package, also enhance the quality of the gas for the various process stages. Gas turbines, too, are used in the power generation field and they are able to produce a higher amount of energy than that normally produced by microturbines. In these cases, there may be the need for far higher operating pressures that can be reached as required, also by using boosters. In these cases Adicomp can supply the necessary quality of gas at the necessary pressure for most turbines used in these applications. 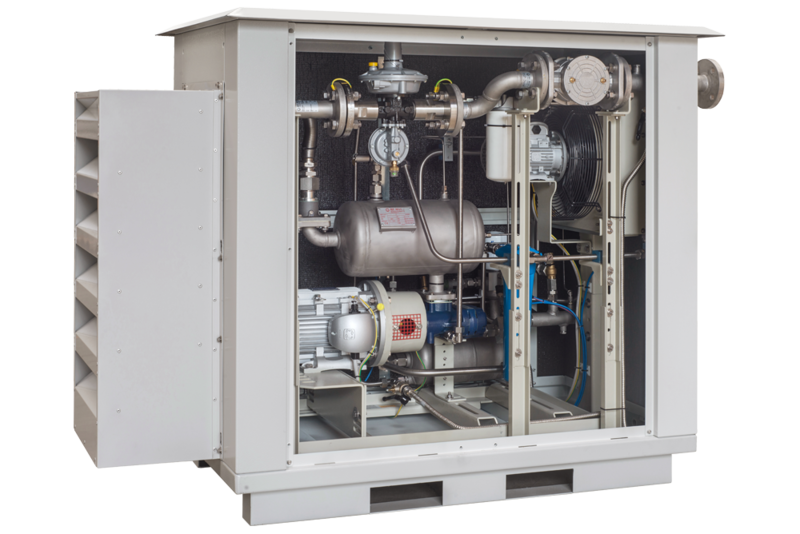 Again, gas cooling chillers stabilise the gas temperature to make it compatible with the requirements of the system. Endothermic engines used to generate electrical energy can run on natural gas or biogas. Usually they do not require compressors, as blowers that can increase the pressure by some tens of millibars are enough. In this regard, Adicomp can provide both blowers and complete biogas treatment systems (fitted with blowers, chillers, filters and heat exchangers) that allow for a better performance of the engine and extend its service life by eliminating condensation and impurities commonly found. In other cases, the engines instead need gas compressed up to a few bar, especially in combination of the pre-heating combustion chambers. Adicomp is the official supplier of GE Jenbacher, which, after a long evaluation, has chosen our company as a reliable partner for natural gas boosters. In power plants it is very important to provide high-quality compressed air to the auxiliary tools, often even oil-free. Adicomp has both oil-free screw units (that is, not with oil injection) and post-compression oil removal systems. The latter include ETC catalyst converters, which can also remove the hydrocarbons in the polluted air drawn in and controlled temperature removal systems through coalescing filtration or with activated carbon columns. Both refrigeration and adsorption dryers, chillers, special and standard tanks and filtration systems complete Adicomp’s supply in this sector. 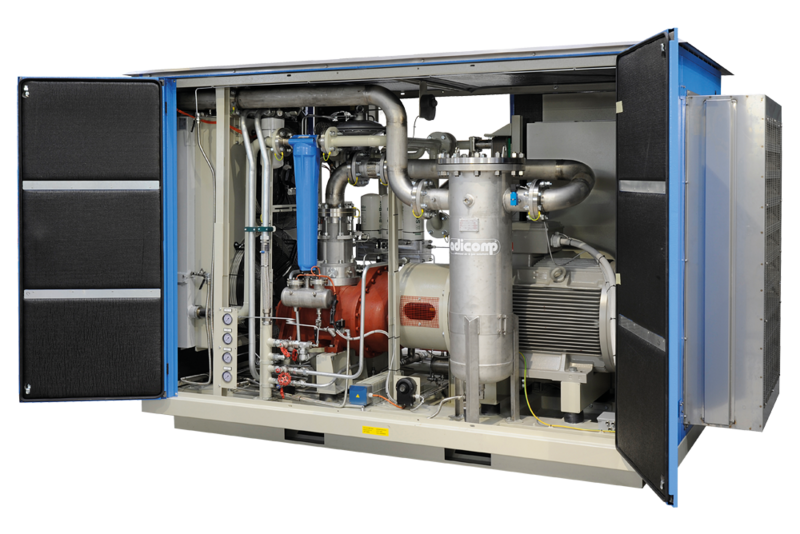 Many Adicomp packages are used in combination with microturbines for micro-cogeneration. In this plant, located in northern Germany, we have used two 75 kW compressors that can compress biogas from anaerobic digestion. 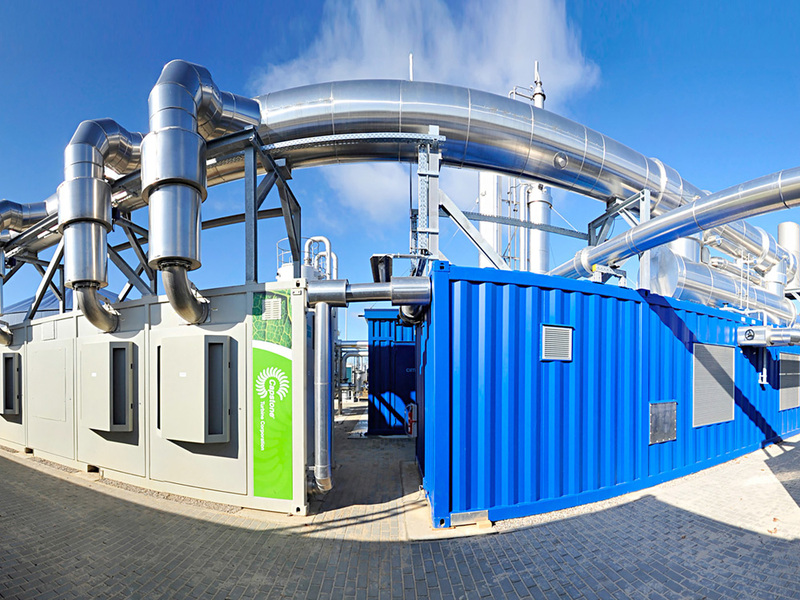 Namely, the biogas has been compressed, dehumidified and heated to make it optimal for correct operation of the microturbines to guarantee maximised energy output.